This post is a part of a Marian Virtue Series, running every Wednesday and Friday. It will conclude on the Feast of Our Lady of the Rosary. If you are just joining the series now and want to learn more you can start here: Introduction to Marian Virtue Series. This post features a giveaway from Telos Art. Please keep reading to find out more! As the feast of Our Lady of the Rosary fast approaches, I am so thankful for all the many women surrounding me, who reflect the beautiful virtues of Our Lady. For my own mother, friends, and fellow writers – who hold close to the mother of Jesus, despite the resistance from others who gravely misunderstand her role. Thank you for your faithfulness! I have written in depth about the Mother of God many times. In Devotion to The Blessed Mother Mary, I unpack the biblical truths of the role of Mary (what devotion to her is and is not.) I examine Mary’s role as a living tabernacle, immaculate, in the context of the Holy Family, and at Cana. In May – The Month of Mary, I reflect on Mary’s role as the true mother of all Christians – whom desire to inherit all that Jesus offers and promises – one such value is his mother, given from the cross. This article also touches on the intentional elevation of secular feasts, particularly in the Spring season and month of May. The Motherhood of Mary explores Mary’s fullness of Grace, the meaning of her visit by the angel Gabriel, and her role as the mother of God. Mary was chosen, not needed, and her many roles also include an elevated rank of intercession. Devotion is a funny thing in our culture. What I mean by that is that we live in a highly romanticized culture, in which we believe devotion requires a sustained movement of our emotions – largely without our individual effort. We see this most commonly in marriages, in which spouses “lose” a devotion, or love of the other. Yet, in truly understanding love and devotion as God understands it, it becomes clear that devotion is something that takes time, effort, and consistency. Emotions may wax and wane, but love is a choice. A marital relationship must be cultivated, prioritized, and maintained. Devotion comes through moving the will and the desires toward the knowledge of what is good. In marriage, there is/or was at one time a spark. Yet, beyond that spark, there is knowledge that marriage is good. Even that your particular marriage is good for you specifically – as intended by and covenanted with God. Therefore, devotion first comes with a desire. PRAY – It may sound silly to pray for a devotion that doesn’t “come naturally,” or take us by surprise (as we expect love to do). But starting with prayer is the best way to gain devotion, particularly to someone as important to our Lord, as his own mother! The Holy Spirit can move your soul in amazing ways, when you only ask for that grace. In My Saint Joseph Story, I tell of how I prayed for a stronger knowledge and devotion to St. Joseph. The Holy Spirit not only gave me the novena to pray (which fell out of a book), but also confirmed his movement through my efforts in growing closer to the great foster father of Jesus, over and over again. He was blessing my desire and my effort. READ – There are certainly so many wonderful books written about Mary. There are works written by saints, from very early centuries to modern day, including passionate homilies. Saint Louis de Montford is particularly regarded as having a strong regard for Mary, in which he shares many insights about her in his book True Devotion to Mary. Leading theology scholar, Scott Hahn uses Scripture to reveal Mary’s great role in salvation history, in his book Hail Holy Queen. For a deeper and more scholarly work, Saint John Paul’s Encyclical letter; Redemptoris Mater shares the saint’s reflection on the “role of Mary in the mystery of Christ and on her active and exemplary presence in the life of the Church.” The many accounts of Mary’s apparitions also offer inspiring reading about Mary’s constant and ongoing intercession on earth. DISCOVER – Allow God to reveal Mary to you, through a greater personal devotion. When your heart is open to his will, he will bless you. Discover how it is that Mary will come to intercede in your life, guide you with her motherly peace and protection, and most importantly – lead you closer to her son. Pray the rosary – which the devil hates – and reflect on the appropriate scripture for each decade. Allow Mary to come alive through prayer and scripture! Even if these practices lack depth at first, and your mind wonders (as in reading scripture), continue to persevere and allow God to bless your desire. 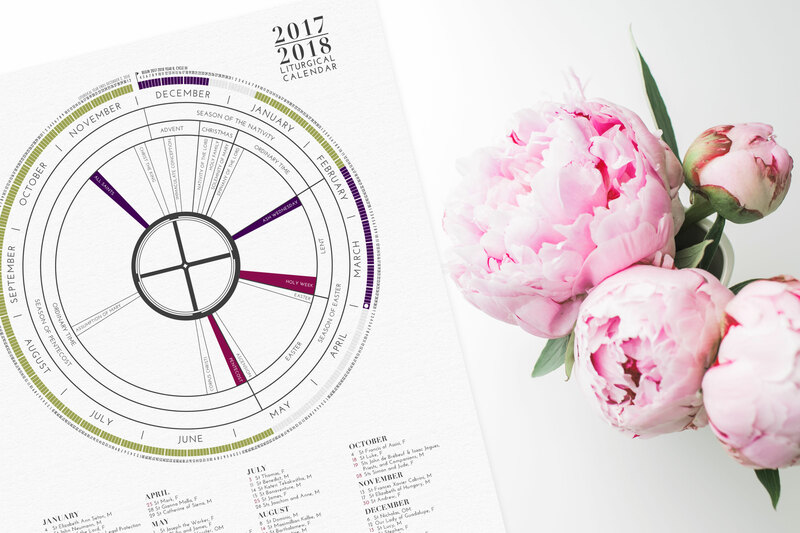 One lucky reader will win a 12×18″ Liturgical Calendar. It offers seasonal colors, holy days and select feast days and is from Telos Art. 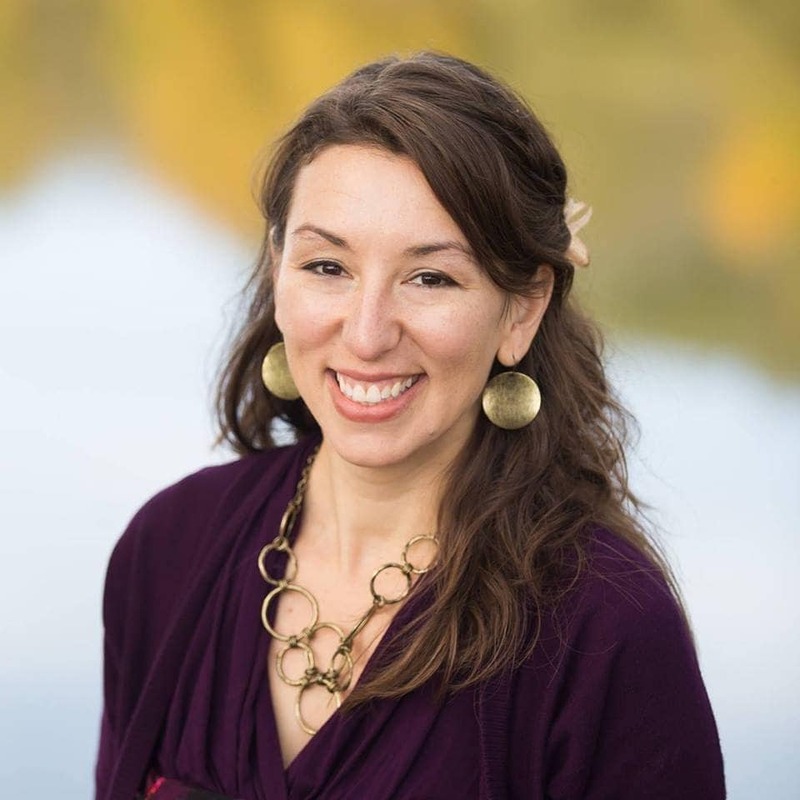 Jessica the creator behind Telos Design is Catholic convert and was new to the idea of liturgical seasons. She was inspired to create modern calendars, art, and jewelry to help her family, and other families navigate the wealth of daily resources available through the Church. 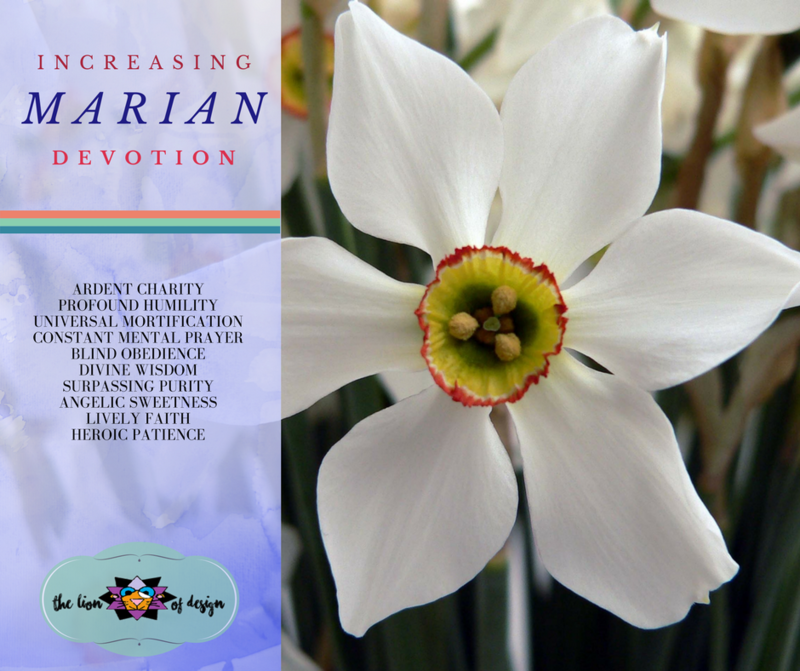 Please support this amazing Catholic Shop and continue to join us in this Marian Virtue Series. I love Mama Mary so much!! Thank you for sharing some simple ways to gain devotion! I need to read and chat with Our Lady more! thank you for this post. This was lovely. We don’t understand how amazing we are to have such a mother . I never forget my own mother telling me that growing up , she never had a gentle lovely mother, her mother was very cold towards her but she took Mother Mary and made her mother and that was help her throughout life. We can’t never underestimate the power of a lovely mother! That is beautiful Cecilia! There are so many people who struggle to grow close to God the Father and Mary, because of past issues with earthly figures. What a grace that your mom saw past that. I need to make more of an effort to pray the Rosary and to pray to Mary in General. You’ve shared some great tips, thanks so much! I admit, praying the rosary is a discipline at times, but so is prayer in general – and this is a powerful one!